Statistically speaking, Drew Brees, not Patrick Mahomes, should win the NFL MVP award this year. Before I prove this claim I want to put my cards on the table. I am a lifelong Saints fan. I do love Drew Brees for everything he has done for the city of New Orleans. No matter what Drew Brees does, I will always love him for bringing my favorite team a Super Bowl. However, my goal in this piece is to take an unbiased look at the case for Drew Brees. I will try not to let my undying love for Breesus affect my analysis. Through 10 games, Drew Brees has posted an 87.8 QBR. This is not only the highest in the league this year (Mahomes is second at 83.9), but it is the best QBR ever recorded. For those who don’t know, QBR is ESPN’s advanced statistic to measure the performance of quarterbacks, incorporating all of their contributions to winning. Brees also has the highest passer rating ever recorded (126.9). If Drew Brees has the highest rating of all time when it comes to winning football games and throwing a football, it follows that he is the most valuable player. Drew Brees has thrown 1 interception this entire season. Said interception came against the Vikings, one of the top defenses in the league. He was hit during the process of throwing the ball and barely over threw Michael Thomas. Mahomes has thrown 10 interceptions, tied for 4th most in the NFL. Moreover, Brees has completed 76.9% of his passes this season, best of all time. Mahomes has completed 67.5%. Brees has 1 fumble, Mahomes has 4. Brees has 7 less completions on 57 less attempts. Mahomes has taken 20 sacks, Brees has taken 9. In essence, Brees does less bad than Mahomes. The Saints have the best offense in the NFL. 1st in points per game, 3rd in yards per game, and 29th in giveaways. Compared to the Chiefs, (2nd, 4th, 30th respectively) the Saints offense is objectively better. The Saints played better defenses than the Chiefs (Saints: 5 top 15 defenses, 0 losses vs. 4 top 15 defenses, 1 loss). Both have an equal number of Pro-Bowl skill players (NO: Ingram, Kamara, Thomas. KC: Kelce, Hunt, Hill) and similarly rated offensive lines (NO: 10 KC:13). This is as close to ceteris paribus as you can get in the NFL, and Brees’ offense is statistically better. Of all the stats I can pull, this one hurts the most. Brees is 39 and the end is quickly approaching to his Hall of Fame career. 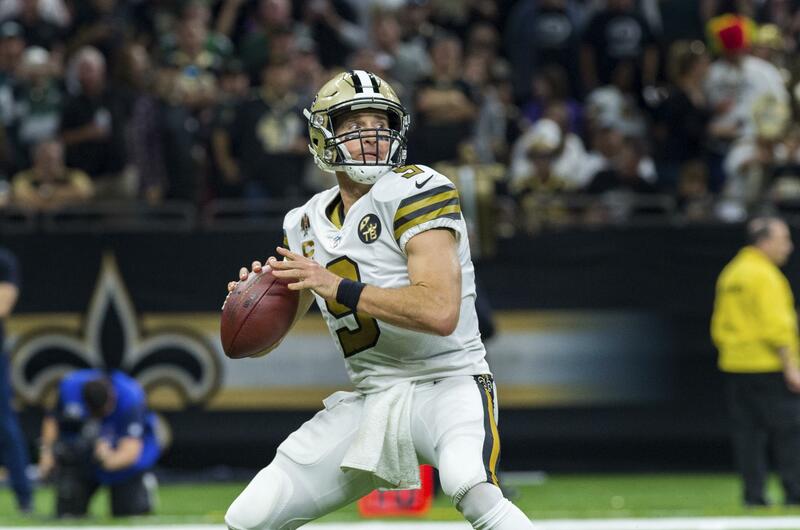 Brees is the career leader in passing yards (total and per game), completions, and completion percentage, 2nd in career passing touchdowns, 3rd in career passer rating, and 9th in career adjusted yards per pass attempt. He is the only quarterback to have multiple 5,000 yard passing season, of which he has 6. Despite being top 10 in almost every positive quarterback category, Brees has never won an NFL MVP award. He lost all three times he was First team all-pro (lost to LaDainian Tomlinson and Peyton Manning twice), lost when he was named Super Bowl MVP (Peyton Manning), lost when he broke the record for passing yards in a season (Aaron Rodgers), lost when he broke the record for completion percentage in a season (Tom Brady), and lost when he tied the record for most TDs in a game (Cam Newton). Patrick Mahomes will have many more opportunities to win MVPs and Super Bowls, but Brees has very few shots left. He is having one of the best years of his illustrious career and has been statistically better than Mahomes in almost every measurable category. Drew Brees is the NFL MVP this year, Mahomes can have it next year.